As the Iowa Watersheds Project ended in the fall of 2016, the state of Iowa was awarded $96.9M for a new watershed project, The Iowa Watershed Approach. The IWA will work in nine new watersheds across the state and is built off the framework developed through the IWP. For more information, visit the IWA website here. Farmers and landowners in the Turkey River Watershed are invited to a farm profitability workshop on Friday, Feb. 24 from 8:00 a.m.-10:00 am at the Fayette County Fairgrounds Dance Pavilion in West Union. As profit margins get tighter, farm profitability is more important than ever. Attendees will learn about profitability analysis as a way to evaluate and improve farm performance. At the workshop, Dan Bahe, AgSolver precision business planning specialist, will explain the profitability analysis process and the basic information needed to get started. Additionally, the Iowa Soybean Association (ISA) and the Northeast Iowa Resource Conservation and Development (RC&D) will discuss an opportunity for farmers to participate in a confidential profitability analysis at a discounted price of 25 cents/acre. Check-in begins at 7:30 a.m., with a catered breakfast served from 7:30-7:50 a.m. RSVP to Ross Evelsizer, Northeast Iowa RC&D watershed planner, at 563-864-7112 by Tuesday, Feb. 21. The event is hosted by the Northeast Iowa RC&D, AgSolver and ISA. The profitability project is sponsored by the Leopold Center for Sustainable Agriculture and the National Fish and the Wildlife Foundation. The Iowa Soybean Association (www.iasoybeans.com) develops policies and programs that help Iowa’s more than 38,000 soybean farmers expand profit opportunities while promoting environmentally sensitive production using the soybean checkoff and other resources. The association was founded in 1964 and is governed by an elected volunteer board of 22 farmers. It strives to be honest and transparent, fact-based and data driven and committed to environmental stewardship, collaborations and partnerships. Often, areas of a field resulting in net loss are the most environmentally sensitive and have a negative impact on water quality and soil health. The analysis provided in this project will demonstrate where conservation practices could be placed and how implementation may benefit the bottom line, either by generating income or reducing loss. Initially, farmers will work with the Northeast Iowa RC&D, to gather needed information — yield, management and input cost data. Then, ISA will perform the analysis for each farm categorizing acres into three zones: high performing, reasonably performing and nonperforming. 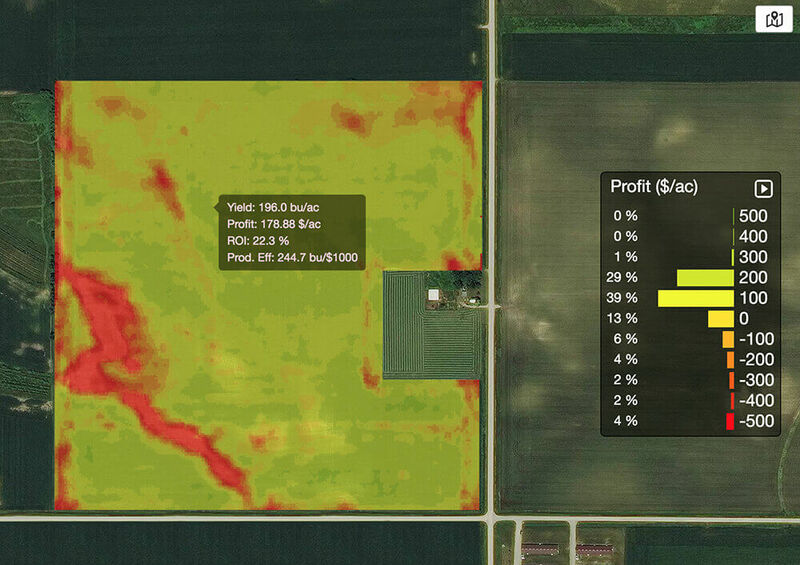 Combined, these acres generate the overall picture of the farm and help farmers identify ways to optimize profit. ISA will follow-up with an on-farm consultation allowing farmers to discuss alternative practices that may be more profitable and methods for implementing those practices. In addition to profitability analysis, area farmers may participate in complementary conservation planning provided by the ISA. The project is sponsored by the Leopold Center for Sustainable Agriculture and the National Fish and the Wildlife Foundation. For more information or to participate in profitability analysis, farmers can contact Evelsizer at 563-864-7112 or Kiel at 515-334-1022.